3D printing technology has cut a niche for itself in healthcare. 3D printed organ models are commonly used these days to help doctors plan complex surgeries. But that’s just a small part of what 3D printing has to offer in healthcare. While the possibilities are limitless, latest technological innovations indicate that the future of 3D printing technology lies in the production of medicines, medical devices, and organ tissue printing. 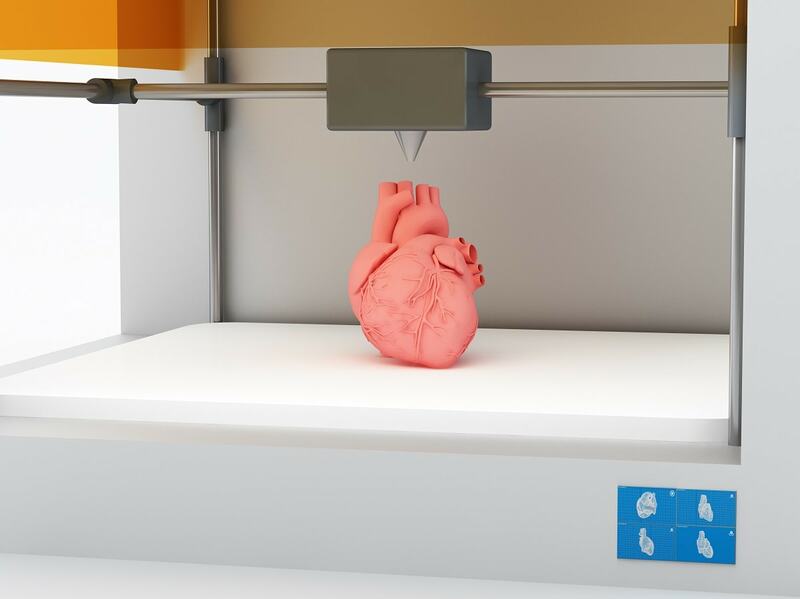 Global spending in 3D healthcare printing has grown exponentially in the last couple of years and is expected to continue on its present trajectory. According to Netscribes research, the global 3D healthcare printing market is expected to be worth USD 1.3 billion by 2020. Furthermore, the market for medical and dental 3D printing materials is expected to grow at a rate of 19.1% until 2020. Future 3D printers could build organs such as kidneys, livers, and hearts using biological and biocompatible materials, called “bio-inks”. US-based company Organovo is working on producing living human liver tissue “patches” that can be transplanted into patients with fatal liver diseases. This means patients won’t have to rely on donors for organ transplants, potentially saving more lives. Bioprinters such as the PrintAlive have been used to create skin, tracheas and even whole bladders. Some of the major players in bioprinting include Oceanz, Luxexcel, Organovo, TeVido, StrataSys, Bio3D Technologies, and Aspet Biosystems. However, challenges exist in the translation of this technology from printing inorganic materials to living cells – vascularization and lack of structural strength being key. Scientists are working on advanced printing techniques to overcome translational challenges, which will help the industry move to printing larger, complex organs. According to Netscribes research, North America remains the largest market, while the APAC region is expected to emerge as a potential market for 3D bioprinting. 3D healthcare printing is currently being used for printing prosthetics, dental and bone implants and medical instruments. More recently, 3D printing has started to make inroads in pharma manufacturing. In March 2016, Aprecia Pharmaceuticals Company’s Spritam (levetiracetam) tablets became the first 3D printed drug to win FDA approval. The technology reduces the overall cost of drug manufacturing by eliminating steps and reducing the manufacturing footprint. In addition to healthcare, latest innovations in 3D printing have the potential to disrupt a number of industries, including aerospace, defense, automotive, retail and industrial design. Our latest infographic, Global 3D Printing Market Outlook 2017, illustrates the impact of 3D printing across seven major industries in the current, near and future term. 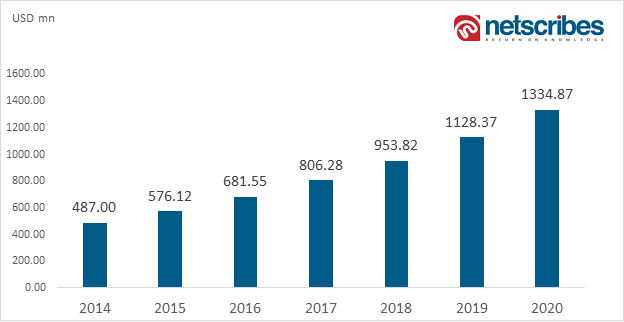 It also provides insight into the market growth, the market for 3D printing materials, and emerging markets for 3D printing. Download the infographic here.